My continuation of reading FanstRAvaganza posts. Fanny (aka Iz4blue or Sinjoor) has a wonderful series of conversations with various fan fiction authors. If you like fan fic, are thinking about reading fan fic, have read fan fic and want to read some more or you’re thinking about writing your own fan fic, check out this series which begins here. Nat had some fun stuff as usual with her games, but she also has a way of making connections with people, which obviously resulted in a lovely series of guest posts from SiouxsieSioux to Liza aka LonghairedToad to Phoebe (one of my favorite fans) to a newcomer that is a total delight, Mary! Funny and packed with a lot of truth. LOL! Then there’s Traxy, who usually has something entertaining and provoking to say. No disappointments this year either. She asks the question I’ve been trying to articulate an answer to but not sure I have quite yet. 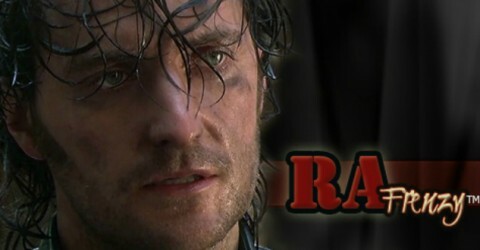 And concerning RA, are we looking for a hero?. Or is it our admiration of his passion for his art? Or maybe because he’s a loyal guy? Or do some of us just love to love him? As for Traxy’s other two questions, I’m not sure of the answers but probably have a lot more to say on it later. That’s all for today. One more blogger tomorrow. Can I Take It All In? Mulubinba is up first. The thing to remember with her blog pieces is they are not little bits to be eaten like cotton candy which evaporates almost immediately in your mouth. These pieces are to be savored and also made a reference point. This makes it difficult to just highlight one of these, but I’m going to list the one or two I would read if there’s no time to read anything else. Given her investment in ‘The Hobbit’, I had to read her detailed piece on Thorin’s costume and props as well as her piece about visiting the ‘The Hobbit’ locations. But also check out the post about an actor’s physical preparation for roles and how this relates to avoiding injury. Okay, that was three. LOL! Bccmee is known for being prolific with her graphics, and she doesn’t disappoint during FanstRAvaganza, but she’s also becoming known for her being interactive with the fans, and that was certainly the hallmark of her FanstRA postings. I loved the drag and drop magazines but also be sure to check out her interview with the dad of the boy who had scenes with RA in ‘Captain America’. Christine or CDoart has a thoughtful piece about men who are into history. Maybe I should cut SO a break every now and then since he’s a man who is enormously interested in history. LOL! And I adored the piece on history and fantasy and how they may relate to Richard Armitage. And then there’s Fitz, who honestly needs a blog. The woman has a lot of interesting things to say, and she may yet turn me into a Richard III zealot. LOL! Okay, that’s it for today; more tomorrow. E.B. Darcy speculates about Thorin’s role. 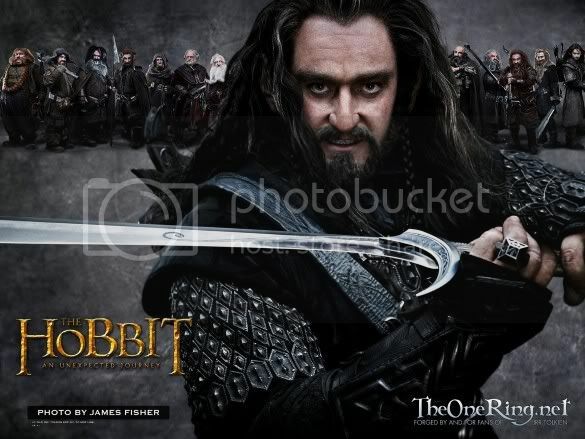 Interesting speculation on where the movie will end, and I second the advice to “Read the book before you see the movie!” Then E.B tries to get us ready for the marketing of Thorin. I’m especially interested in an audiobook (more on that later). Of course all of this has her wondering where it might lead RA’s career. Fabo and her friend and fellow RA lover, Zibeline, thoroughly explore the power of the Armitage eyes and lashes, and then Fabo muses about who could play Anne Neville to Richard’s III. I’m starting to get into this RIII thing. LOL! I’ve really enjoyed going through these posts. One more tagteam blogger tomorrow, and then I move onto the anchor bloggers. Promo still courtesy of TheOneRing and screencap courtesy of Fabo’s blog. Continuing with my foray into the FanstRAvaganza posts for this year. 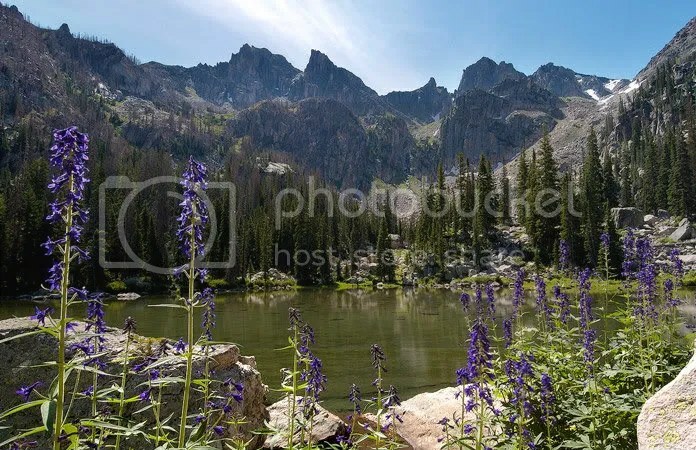 This is near 11,500 feet where the treeline ends. JasRangoon thinks Richard Armitage should have kids, and she tries to answer the question of what they could look like. She also gifts us with a modern story of John and Margaret. Which John and Margaret? You must have only seen Spooks or Robin Hood. LOL! This John and Margaret. I started reading and immediately backed up to the beginning. Wow! This is her first fanfic. So far so good!! Melanie of Melanie’s Musings believes Harry Kennedy is the near perfect man. Well, yeah! :D I found myself nodding — a lot — and then I got to the poll and thought my vote would still be in the minority. Oh, how wrong I was. Another post in the ongoing perusal of FanstRAvaganza goodies which I could not get to last week. Now this is a motley group! And all hip in some way. The Queen explores different media for commemorating Tolkien Love, and I’m stunned at what people can do with seemingly mundane items. The only question is could you wear or eat this stuff or would guilt force you to just look at it? :D Okay, I’m smiling, but I’m serious. How do you eat one of those cakes? 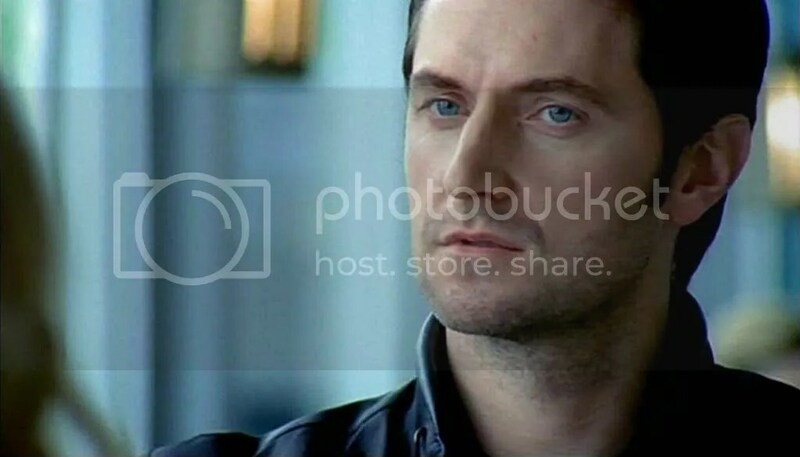 Maria, one of the very first bloggers to mention Richard Armitage at regular intervals (yea! Maria), begins to explain the need for a New Richard III and also treats us to an interview with the author of a North and South continuation. I found interesting the conclusions about what a true marriage of two minds would produce. I’ve got thoughts on that myself. Need to weigh in at some point. LOL! Jazzbaby is funky as per usual, and I have to say she is one of my favorites. I can’t help it!! She is! And if you read her stuff, you will probably be equally smitten. If you’re not after reading this, then I’m not sure we have much to say to each other. :D But if that’s not enough, you can go further into her mind at your pleasure. All I know is we’re so on the same page about the Spooks writers. This is a post in the ongoing attempt to savor FanstRAvaganza. I’m reading through posts this week and next and highlighting some of what I find. Cat Winchester has been writing fan fiction for a while now, and she shares the benefit of the experience in “Top Tips for Writing Fan Fiction.” She also has an interesting picspam of Goodies and Baddies RA has played. IngeD3 comes with a plan to assist Peter Jackson in distinguishing the dwarfs. :D This is a blogger whom I wish I knew more about. In case it’s not clear, I’m doing these alphabetically by blog name. More tomorrow. I didn’t have time last week to read much, so I’m making up for it this week and maybe some next week when I’ll be sharing what I find. Christine at ‘A is for Armitage’ has a hilarious action figure of RA, but it was the history of beards that I found myself reading several times. She also has a poll about what we prefer on a man’s face. I haven’t voted yet, but it will be interesting to see if we are in keeping with the norm. They all have a decided air of celebration, which is so like Antonia! and of course there is food. And Antonia who is really focused on being understood and RA being understood shared the crime that is the dubbing of The Hobbit Trailers. I could barely watch, and definitely needed something scrumptious to eat afterward. I understand Jo at Cerridwen Speaks treated us to a story. 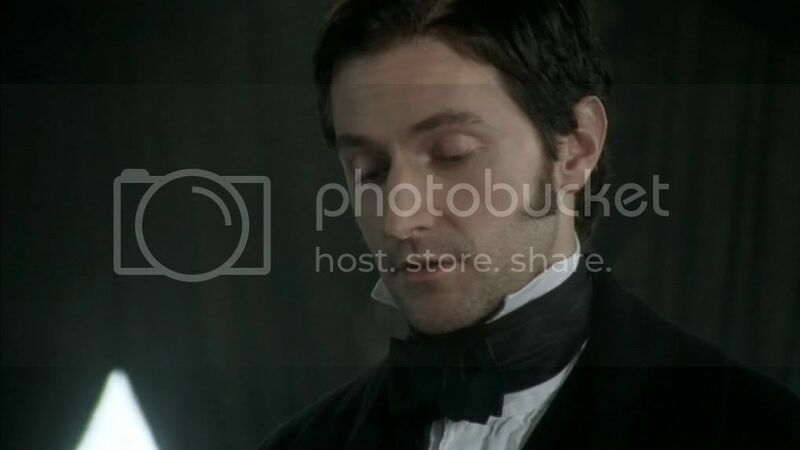 Gone to read….Okay, I have never thought of RA as an American Cavalry officer. Now I’m going to have a hard time thinking of anything else. That’s all for now as I’m sucked into this story and need to finish! :D Oh, and be sure to become her fan on Wattpad!